The return of Shea Weber was a nice boost to Montreal’s lineup but it didn’t dramatically change their recent fortunes as they dropped two of three games. 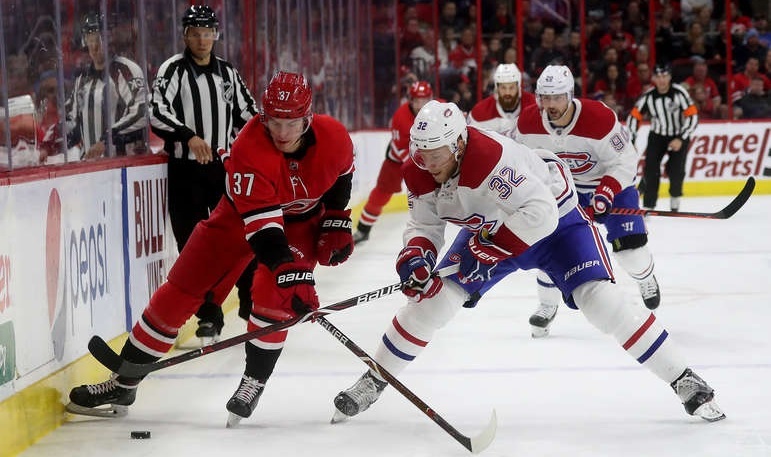 Nov. 27: Hurricanes 2, Canadiens 1 – This was a game that Montreal dominated from start to finish in every category but the most important one (goals). They limited Carolina to barely half of their season average in shots while peppering Curtis McElhinney with 49; only one Montreal skater failed to record a shot on goal in this one. Dec. 1: Canadiens 5, Rangers 2 – Montreal got off to a much better start in this one than usual. Weber picked up a pair of goals in the first period while Artturi Lehkonen potted a pair in the second to give them some much-needed breathing room. The shot differential was quite lopsided once again with the Habs outshooting New York 41-22. 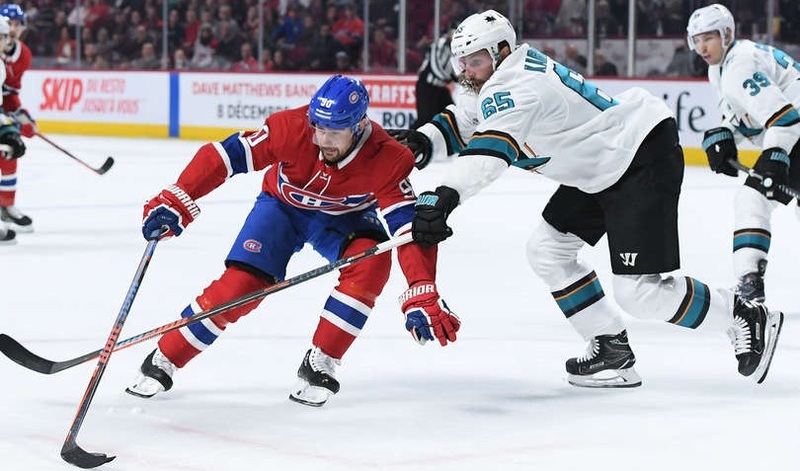 Dec. 2: Sharks 3, Canadiens 1 – After getting off to a good start the night before, the exact opposite happened. San Jose was all over Montreal early on and had a 2-0 lead fairly quickly. The Habs got better as the game went on and played with a lot of urgency in the third period but it was a case of too little, too late. - It took longer than it should have but the Habs finally sent Victor Mete to Laval. There’s no sense in playing a waiver-exempt defenceman 12-14 minutes per game when he can get close to twice as much playing time in the minors. Mike Reilly has taken his spot in Montreal’s lineup. - Noah Juulsen resumed skating with a full cage as he works his way back after sustaining facial fractures from multiple hits from the puck in a game last month. He could return later this week which will create another situation of someone needing to be cut (more on Montreal’s most recent departure shortly). 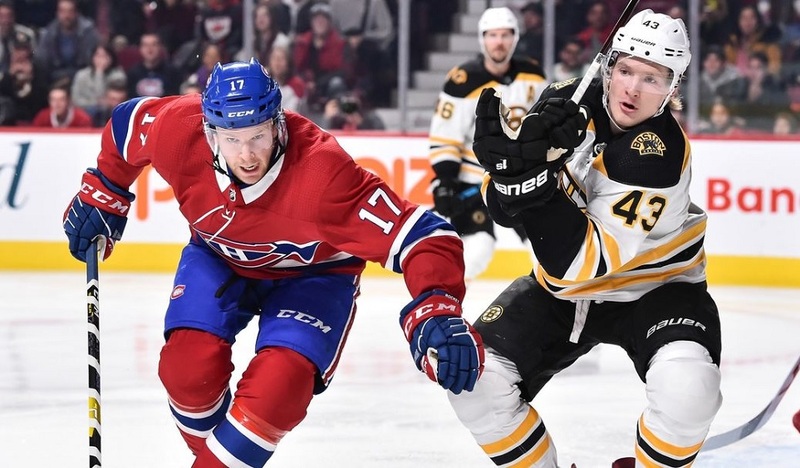 - Brendan Gallagher finds himself in one of his bigger scoring slumps. After scoring nine times in the first 12 games of the season, he has lit the lamp just twice since then, spanning 15 games. Despite that, he’s still playing at a 33-goal pace which would represent a career high for him. Dec. 4/6: Home-and-home with Ottawa – It’s a battle of two teams that many expected to struggle yet they have hung around the postseason picture. The Senators are one of the top scoring teams in the league (third overall heading into play on Monday) but they’ve also allowed the most goals as well. Matt Duchene and Mark Stone are lighting it up in contract years while Thomas Chabot has been a revelation in the early going. Let’s just say that these could be a couple of high scoring games. Dec. 9: vs Chicago – Firing Joel Quenneville didn’t seem to fix their problems (which shouldn’t come as much of a surprise to most people). Cam Ward has been brutal this year while Corey Crawford’s numbers are very close to those of Carey Price. Patrick Kane is off to a solid start but their secondary scoring has been an issue which is why they made a notable trade last month to bring in Dylan Strome from Arizona in the hopes that a change of scenery could get his game going. The early returns have been decent. Count me among the group that isn’t overly thrilled with the departure of Nikita Scherbak to the Kings for free on waivers. I’m not as upset with the end result, however, as I am how things got to this point. Scherbak made the team as a waiver-blocked player. I think everyone would acknowledge that. But the decision to sit him for more than three weeks without playing him didn’t make much sense. They’ve shown that they have no qualms sitting Charles Hudon and Matthew Peca – why couldn’t they have sat one of them (let’s say Hudon for positional reasons) here and there to give Scherbak a couple of games? I liked the decision to send him on a conditioning stint but him getting hurt certainly didn’t help things either. Fast forward to today. He apparently hasn’t received clearance to play yet so why exactly was he on waivers? For starters, there are rules preventing the waiving of an injured player (anyone remember Blair Betts’ stint in Montreal?) so that’s a little odd. What’s even odder is that if this is indeed true, they didn’t have to waive him at all, at least not yet. Why not keep him on IR until he’s actually able to play? Perhaps by then someone else is hurt and they could have activated him into that spot and not lose him for free just yet. Then, perhaps, they could have actually tried him in a game or two before giving up on him. Someone like Kenny Agostino or Nicolas Deslauriers could have sat for a game without drastically affecting things. And if not, perhaps a trade presents itself between now and then. Good management makes use of all the time they’re afforded. I’m not shocked that Scherbak was on waivers. It’s the outcome I was expecting. With teams knowing they can wait for the player to inevitably be waived, it pretty much limits the trade market and Scherbak’s NHL time isn’t enough to really establish a track record to create a mini bidding war; they’d have needed an injury or two somewhere to really create a plausible opportunity. But to give up on him without playing him in a single NHL game this season (and when they didn’t have to if he remains on IR much longer) is nothing short of baffling. Could the Habs have done anything less to help themselves here? The odds of Scherbak living up to his draft billing appear to be low. From that standpoint, the loss isn’t the end of the world. However, they did nothing to help boost his value and waived him earlier than they needed to. There’s no positive way to spin that. That’s just bad asset management, plain and simple.